Blizzard Entertainment, which is known for publishing some world-known games, is giving a romantic touch to the first-person shooting game Overwatch. Silently, the game publishing company announced that it will add the Paris map in Overwatch, which is expected to roll out in the following weeks. Currently, the map is simply known as Paris, and can be tested by PC users on Overwatch’s PTR. The company has simply published a tweet in which it describes it will add the Paris map in Overwatch. In one of the comments, Blizzard wrote that PC players can test it on Overwatch’s PTR. Paris will be an assault-style map. That said, two teams will have to capture two point objectives or defend it from their opponents who want to do the same. As for the many game modes that Overwatch sports, Paris will be available in quick play and competitive mode kind of games. The official statement can be found in the January 30 patch notes, given the maintenance that takes place today. There, aside from the bug fixes, players can be introduced to the “narrow streets,” Seine river, Cabaret Luna and much more. Given how romantic a city Paris is, it is a great way to highlight the upcoming Valentine’s Day in two weeks. 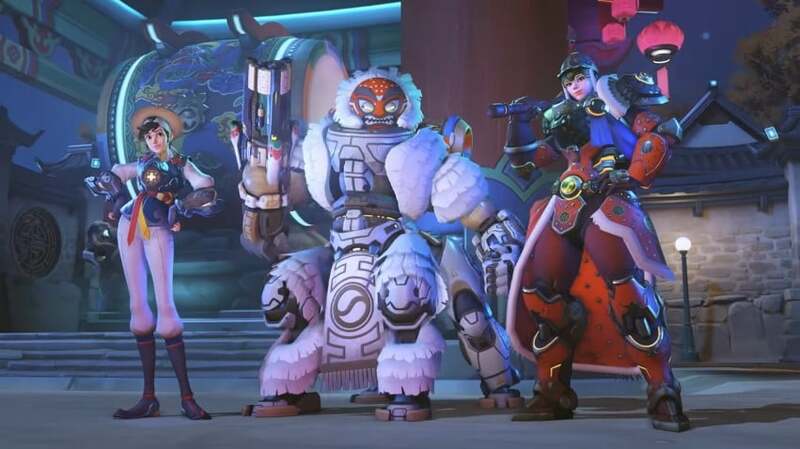 Paris is the first new map Overwatch Blizzard has featured since Busan, which was introduced to the game in September 2018. However, Busan is not an assault-type of a map, so this is the first assault map to come since June 2017, when Blizzard featured Horizon Lunar Colony, a pretty large map where you can easily get lost and lose the objective. Blizzard hasn’t specified the date it will add the Paris map in Overwatch officially on PC, PlayStation 4 or Xbox One yet; we’re still looking forward to finding that out. The maps are usually tested for a few weeks before they officially appear in the game, but we hope that it is going to arrive by Valentine’s Day. Nevertheless, Paris and Valentine’s Day are not the only things to mark Blizzard’s festive spirit. Last week, the publishing company released an event which celebrates the Lunar New Year – The Year of the Pig. This year Blizzard added a lot of festive voice lines, icons and skins, many of which belong to important historical persons – Lu Bu, one of the strongest heroes who marked early Chinese history, and Guan Yu, fighter for the Shu army, as well as Zhuge Liang, one of the most well-known Chinese strategists, were added to Reaper, Reinhardt and Zennyata respectively. Also many new skins and those from previous years, which can be acquired through loot boxes which players get upon leveling up or playing Arcade Mode – Capture the Flag, made an appearance. It’s interesting to note that many of these skins look like the heroes from the popular historical hack-and-slash game developed and published by Koei, Dynasty Warriors. The resemblance is uncanny. Do you agree?